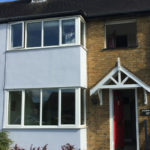 Our clients wished to upgrade the overall appearance of their semi-detached property in Chalfont St. Giles, Buckinghamshire and enhance the current features of their home while at the same time looking to improve the energy efficiency. We discussed various options with them, but eventually it was decided that the Tudor style leaded light windows would really stand out. 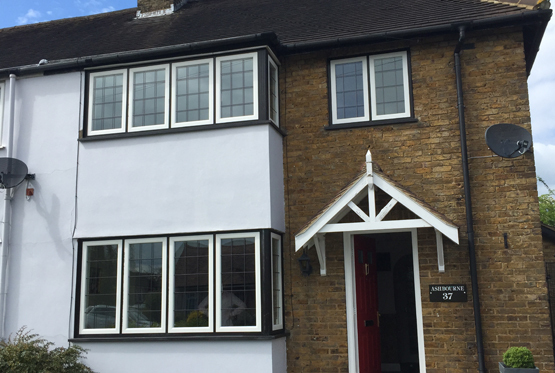 Even though these leaded light windows in Chalfont St. Giles look traditional they obviously use the most modern uPVC window technology the high efficiency of these windows will decrease the amount of heat escaping from the home in the winter months making every room feel much warmer. 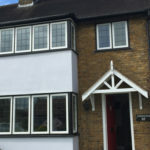 In addition these uPVC leaded light windows in Chalfont St. Giles will increase the security of the property, something that our client was keen to ensure. Finally these uPVC leaded light windows will be very easy to maintain, even the darker frames and sills will not show dirt easily making them almost maintenance free! 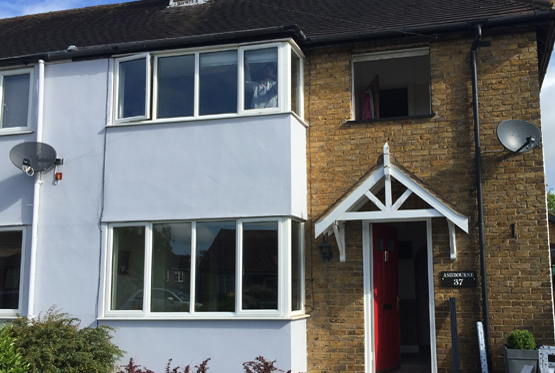 At DGB we really like this project as it shows how choosing the right window for a property can transform the look of a home, while also improving it’s insulation and security.